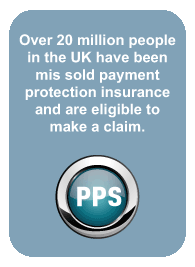 Payment Protection Scotland (PPS) reclaims mis-sold payment protection insurance for our customers throughout Scotland. If you have taken out a credit card in the last 10 years, it is fairly likely you’ll have had payment protection insurance (PPI). Most of these policies were mis sold, which means that you are entitled to claim PPI compensation on your credit card. Payment Protection Scotland Ltd handle PPI (payment protection insurance) credit card claims on behalf of Scottish consumers who wish to claim back their PPI. We claim back all your premiums, plus interest and we handle the entire PPI complaints process on your behalf.